A key observation in Adam Smith’s The Wealth of Nations (1776) concerns those who work the sea: the mobility of a marine workforce helps to regulate their wages, he says. The effect is to keep them low. This is a fundamental tenet of capitalism, argues Allan Sekula in The Lottery of the Sea (2006), a highly astute video essay whose title comes directly from Smith. 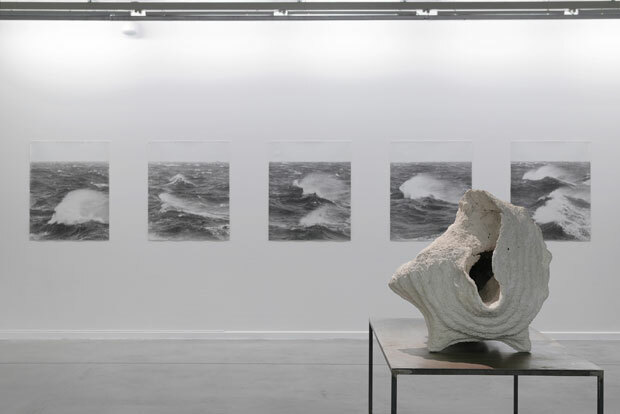 It is currently the last work you come to in ‘La Vie Aquatique’ (until 4 June), a nautically-focused exhibition at the Musée Régional d’Art Contemporain (MRAC) down south in Sérignan, on the Mediterranean coast of the Languedoc. At 27 minutes long (the gallery opted against the feature-length version), its large screen taking up one corner of the long gallery, Sekula’s video represents a stitching together of several of the thematic threads weaving through the rest of the exhibition: commercial shipping, the food industry, global geopolitics, danger, death, destruction, control, and the conception of nature as a resource to be exploited. This is not an exhibition about the sea so much as our relationship with it. Sekula’s splicing together of U.S. naval policy with the everyday lives of Japanese fishermen is a complex and ultimately depressing examination of the networks of power, money, and violence that criss-cross the world’s oceans, often unseen. But ‘La Vie Aquatique’ is by no means an unrelentingly downbeat exhibition. From Dove Allouche’s elegant black-and-white drawings to Jochen Lempert’s powerful photographic series of a single wave in motion, this is an exhibition full of beauty. The layout has been deftly handled too: one’s eye is guided through the long, single gallery with calm assurance. Unlike the sea itself, there are no sudden surprises. Instead, ‘La Vie Aquatique’ offers something more subtle. Under almost every surface something darker is hidden from view. This is literally the case with Chilean artist Enrique Ramirez’s video Pacifico (2014). On the wall, a bright blue sea swirls hypnotically. In front, take-away posters draw attention to the practice under Pinochet of dumping bodies out of helicopters into the Pacific Ocean or into lakes and rivers across Chile. Suddenly, the vivid blue waves speak very differently indeed. 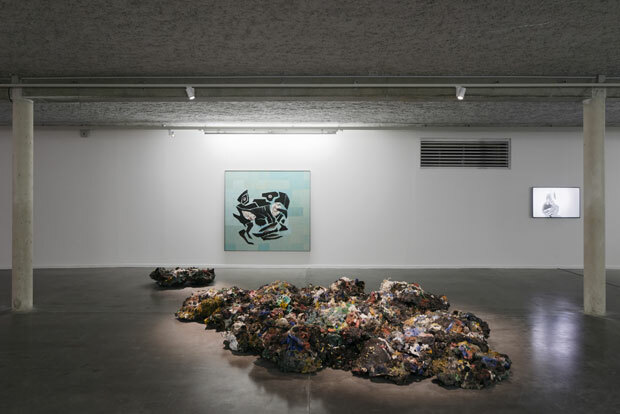 Elsewhere, Hicham Berrada’s triptych of small, jewel-like aquaria turn out to be made from chemicals; Mehdi Melhaoui’s upright glass sculpture is a nod to the plight of sea-bound migrants from Morocco; and Maarten Vanden Eynde’s sprawling floor-based coral reef sculpture is made from the tonnes of discarded plastic that ends up in the world’s oceans. So much has now accumulated in the Pacific that it’s been dubbed a seventh continent. Vanden Eynde shows us the beauty and complex diversity of an underwater landscape in the very medium that is contributing to its destruction. ‘La Vie Aquatique’ contains a high proportion of video works. The majority are short, looped and ambient. For the most part, they work well together. Marcos Avila Forero shows a group of men drumming on the surface of a river in Colombia’s Chocó rainforest in imitation of the sounds of armed warfare familiar in the region. The rhythmic percussive splashing beats a regular tempo through the gallery. These warning sounds only emphasise the strategic silence of the sea in Ramirez’s work. Meanwhile, the long low note of a tuba emanates from Maria Laet’s Pneuma (avant Tuba I et Tuba II) (2015). The only slight casualty of this approach is Aurélien Froment’s Pulmo Marina (2010). I first came across this at the Venice Biennale in 2013, where it was shown alone on a huge screen in a pitch-black room. Here at MRAC, the vivid colours of a yellow jellyfish on a rich azure background glow just a little less brightly, and the voiceover – in French here rather than the hilarious U.S. version I first encountered – gets a little lost. Otherwise, ‘La Vie Aquatique’ adroitly brings together humanity’s most enduring feelings towards the sea – love, fear, respect – with today’s urgent concerns. And it does so with style and a rare lightness of touch from curator Sandra Patron. Patron joined MRAC as director in 2014 and has overseen a significant extension that has increased exhibition space by 25 per cent, as well as creating a new library and education area. 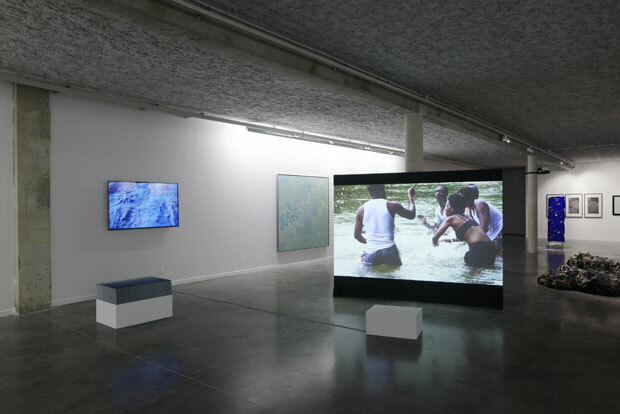 In addition to ‘La Vie Aquatique’, MRAC is currently hosting a major solo show for Turner Prize nominee Lucy Skaer; Colombian artist Daniel Otero Torres is in the project space; and the rehang of the museum’s collection is both impressive and sensitive. MRAC began life in 1991 as a small arts centre named after local wine-grower Gustave Fayet, before becoming a museum and expanding its premises, collection, and ambitions. With exhibitions coming soon for Simon Starling and Neil Beloufa, among others, this feels like a strong moment for MRAC and hopefully part of a wider statement of intent from France’s provincial arts centres. 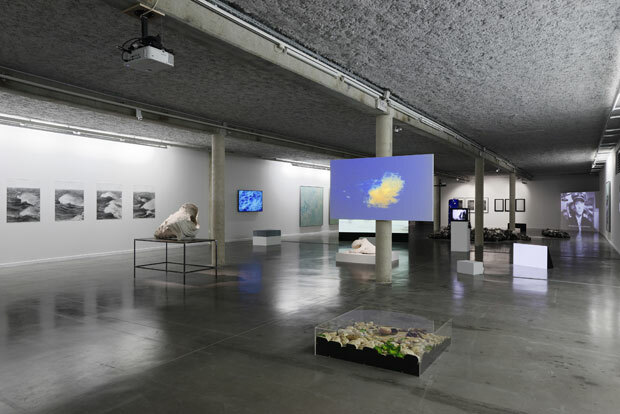 ‘La Vie Aquatique’ is at the Musée regional d’art contemporain, Sérignan, until 4 June.